Last weekend, The Body Shop held its "For Members only Mind-Blowing Sale" where products are on sale of up to 70% off. The sale is in celebration of their 17th birthday. For those who weren't able to drop by their stores, don't fret...the Mind-Blowing Sale is open to everybody starting today, April 30! 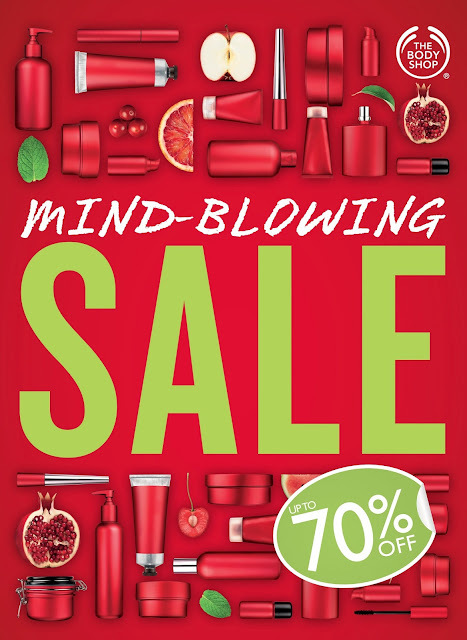 Drop by the nearest The Body Shop branch and take advantage of their up to 70% off on their great and wide selection of bestselling and iconic products.